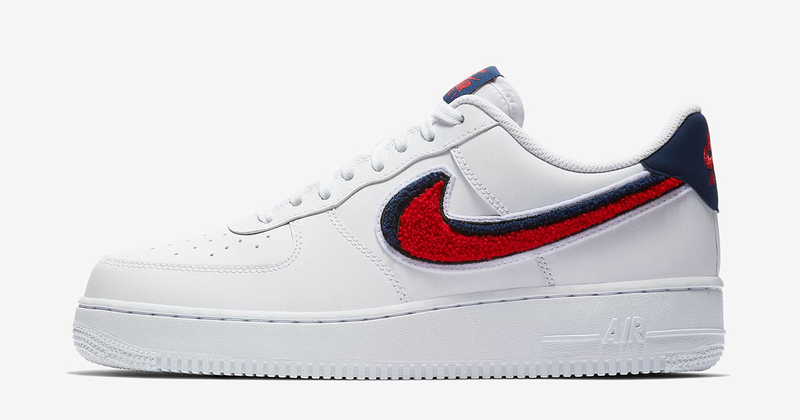 These 3-D chenelle Swooshed have been appearing on a heap of Nike classics this season, everything from the Blazer Low to the Air Max 1, but nothing says ‘Swoosh’ more the Air Force 1 Low. The patriotic mix of red, white, and blue has arrived just in time for Memorial Day so you can get your moments silence on in style. But it’s the chenille Swooshes that steal the show, with their split coloring and their extruding reach — they’re jumping off the sneaker! — that make these stand out. Y’all fans of this literally poppin’ Air Force 1? They’re available right now at Shoe Palace.